PVMBG reported that after an increase on 29 September seismicity at Iya decreased significantly, with the number of deep volcanic earthquakes slowing from a rate of five per day or less, to none on 22 October. On 31 October the Alert Level was lowered to 1 (on a scale of 1-4). 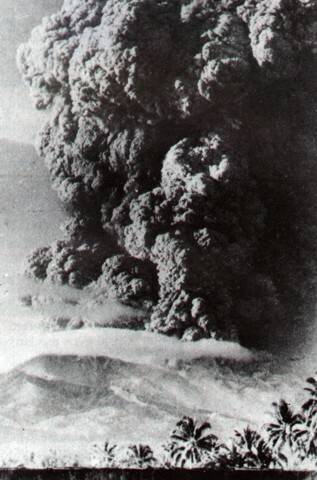 Eruption of Mount Ija 27 January 1969 from 0400 to 1100 ejecting volcanic lapilli sand ash. Smoke caused by the eruption 5 km high having black, white, yellow, and blue colors. Ejected fire caused burning from top to slope for three hours. Thundering sound started from 0400 until 1100 sharp, stopping abruptly like the engine of an automobile being stopped. Since 1100 that day until 29 February it continued to eject smoke as big and as high during the time of eruption without thundering but at times producing explosive sounds. Gas pressure getting weak. 30 January till 4 February it continued to eject thick smoke as high as 500 m but in general reaching a maximum of 100 m while smoke thickness getting small. Lava flow and volcanic hot cloud did not appear and have no trace. Volcanic earthquake and volcanic tremor continuously felt for seven hours during the eruption. 1-6 February volcanic earthquakes maximum eight times minimum three times a day, one day none. Collapses maximum 43 times minimum four times a day. 7-17 February volcanic earthquake only once a day, three days none. Furthermore, tectonic earthquake occurred once. Collapses maximum seven times minimum two times a day. 18-25 February volcanic earthquake maximum four times twice a day, five days none, with additional tectonic earthquake thrice. Collapses maximum seven times minimum once a day, three days none. The temperature of solfatara at the top on 10 February minimum 100°C. On 17 February maximum 315°C minimum 98°C. On 24 February maximum 300°C minimum 100°C. The temperature of solfatara at the top in normal condition maximum only 98°C. On 10 and 17 February solfatara in Region B produced sizzling sound, and on 24 February Region A inclusive all produced sizzling sound. The temperature of the atmosphere at the top on 10 February was 34°C, on 17 February it dropped to 33°C, and on 24 February it dropped to 32°C. Information Contacts: Indonesian Volcanological Service, Ende, Flores, Indonesia; American Embassy, Djakarta, Indonesia. PVMBG reported that during 1 July-29 September variable-density white plumes rose as high as 150 m above Iya. During most of that period seismicity was at normal levels characterized by deep and shallow volcanic earthquakes each detected at a rate of less than 10 events per day. Between 1550 and 1800 on 29 September, however, the seismic network detected 17 volcanic earthquakes. Since the number of volcanic earthquakes was significant and above normal levels, the Alert Level was raised to 2 (on a scale of 1-4), and the public was warned not to approach the crater within a 2-km radius. 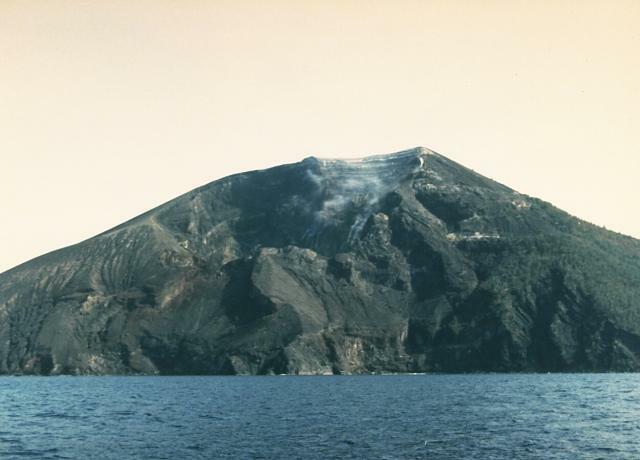 The recent eruptive activity began on 27 January 1969 in the early morning between 0400 and 0700. During a flight between Kupang (Timor) and Den Pasar (Bali) on that day, the area of the disaster was covered by heavy dark clouds. Refugees of Endeh toen, the capital of Flores Island, are reported to have fled to Maumere, a village on the north coast of the island. Inhabitants of the area surrounding the Ija Volcano fled from the dangerous grounds of this volcano, which spit hot lava and thick smoke. The volcano with its highest elevation of 650 m is considered a very dangerous volcano due to the two craters it has - one above and one below sea level. Ija volcano at Tandjing Endeh in Flores, erupted on 27 January. The crew of a G.I.A. airplane flying over Flores on route from Kupang to Den Pasar on the morning of 28 January witnessed a thick smoke above the disaster area. Surrounding residents and inhabitants have been evacuated to Maumhe? The Geological Service has sent an investigation team. Card 0408 (17 February 1969) G.A. De Nève, Universitas Padjadjaran, Bandung. Card 0418 (20 February 1969) Djajadi Hadikusumo, Geological Survey of Indonesia. Gunung Iya is the southernmost of a group of three volcanoes comprising a small peninsula south of the city of Ende on central Flores Island. The cones to the north, Rooja and Pui, appear to be slightly older than Iya and have not shown historical activity, although Pui has a youthful profile (a reported 1671 eruption of Pui was considered to have originated from Iya volcano). Iya, whose truncated southern side drops steeply to the sea, has had numerous moderate explosive eruptions during historical time. There is data available for 11 Holocene eruptive periods. There is no Deformation History data available for Iya. There is no Emissions History data available for Iya. 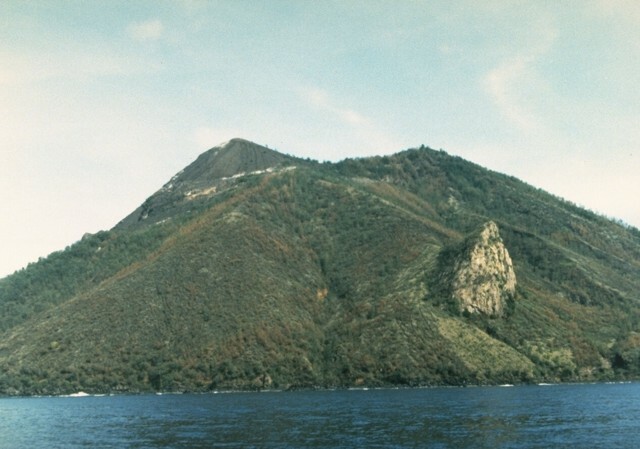 The southern side of the small Iya volcano in central Flores drops precipitously to the sea. Steam clouds rise from a crater near the summit. Gunung Iya is the southernmost of three volcanoes forming a small peninsula south of Ende. Photo by Ruska Hadian, 1985 (Volcanological Survey of Indonesia). An old lava plug forms the light-colored cliff at the right on the SE flank of Gunung Iya volcano. The southernmost of a chain of cones forming a peninsula on the south-central coast of Flores Island, only Gunung Iya has been active during historical time. 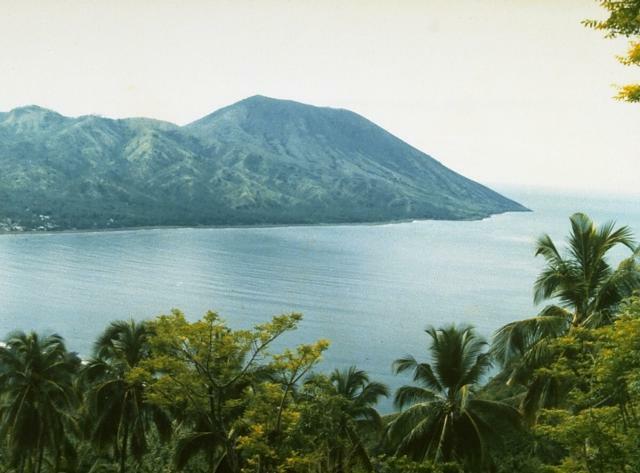 The small 637-m Iya volcano anchors the southern end of a peninsula on central Flores Island, seen here from the village of Kori Bari on the NW. Intermittent explosive eruptions have been recorded since 1671. Gunung Iya (right) is the southernmost of a group of three volcanoes forming a small peninsula on central Flores Island. Only Iya has shown eruptive activity in historical time, but the 371-m-high Pui cone seen here at the left, also has a youthful profile. Intermittent explosive eruptions have been recorded from Iya since 1671. A powerful ash-rich eruption column rising above Iya volcano is seen from Ende city on January 27, 1967. Ija erupted suddenly on that day with no recognized precursory phenomena. The eruption column rose 5 km above the summit from a new 400-650 m wide crater on the upper SW flank, and a pyroclastic flow occurred. Houses were damaged on the nearby island of Ende, and one person was killed. Secondary lahars later caused another fatality in a village below the ash-covered cone of Raja. The eruption ended on January 30. 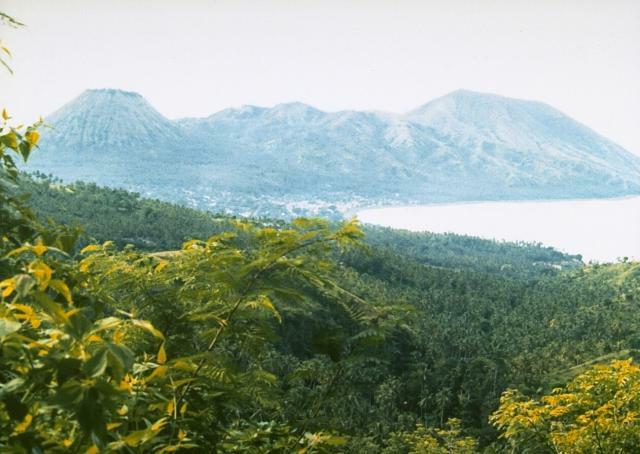 Photo by Go Ciap Cing, 1969 (courtesy of Volcanological Survey of Indonesia). There are no samples for Iya in the Smithsonian's NMNH Department of Mineral Sciences Rock and Ore collection. Large Eruptions of Iya Information about large Quaternary eruptions (VEI >= 4) is cataloged in the Large Magnitude Explosive Volcanic Eruptions (LaMEVE) database of the Volcano Global Risk Identification and Analysis Project (VOGRIPA).